I gave a five-minute talk on copyright at the inaugural Ignite Bend. The gist of it was that our copyright laws need to evolve. Copyright was originally conceived of to provide protection for authors who were being taken advantage of by unscrupulous publishers (Statute of Anne, 1710). This is a very noble ideal, but many believe we’ve gone too far with recent legislation. We’re also in an era of the remix (Larry Lessig). 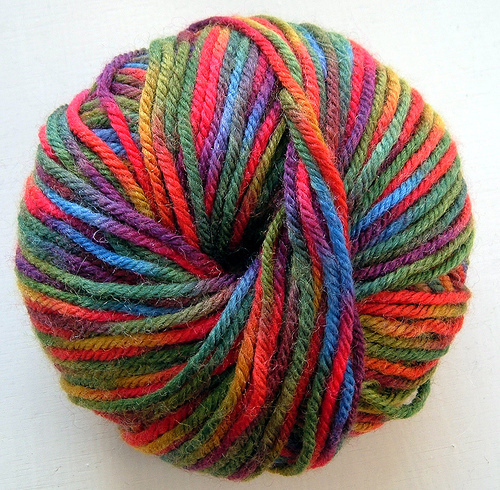 Lessig’s thoughts on remixing and creative commons have a great analogy in the yarn world. Artisans create home-spun yarns that, on their own, are amazing artistic creations. But those creations aren’t meant to sit on a shelf. They’re meant to be used, built upon, remixed. The item that results is oftentimes even more beautiful or useful than the raw material (unless it’s one of my failed attempts to knit a sweater). It seems to me that we could approach copyright with a similar view. I’m all for protecting the rights of content creators and ensuring that they can feed their families. But, some loosening of the derivative works restrictions in current law would benefit both the progress of science and the useful arts (US Constitution). Watch the Ignite Bend broadcast. See the show notes.